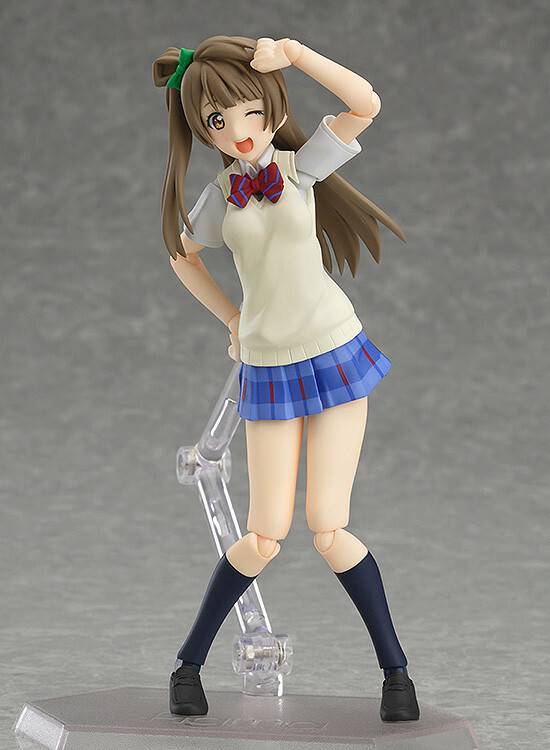 From the anime series 'LoveLive' comes a figma of the μ's member in charge of outfits, Kotori Minami! Three expressions are included: a gentle smiling expression, a cheerful winking expression as well as a troubled expression. 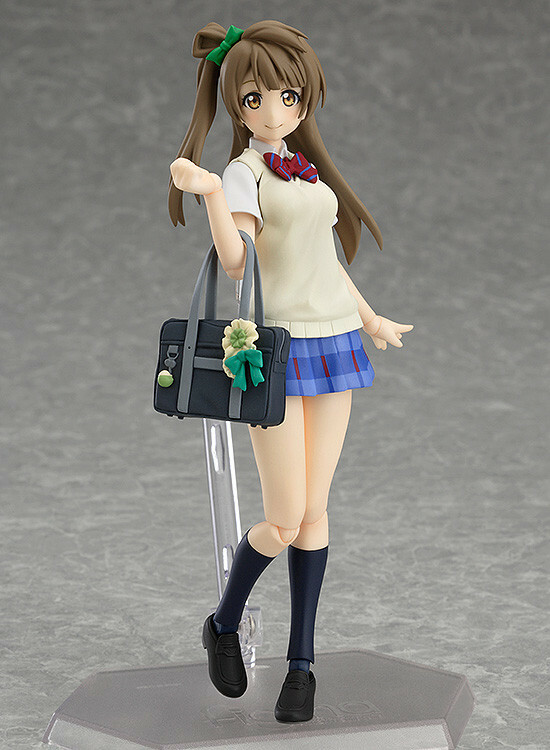 Optional parts include her school bag, a sketchbook with some outfit ideas drawn on it as well as a pen. 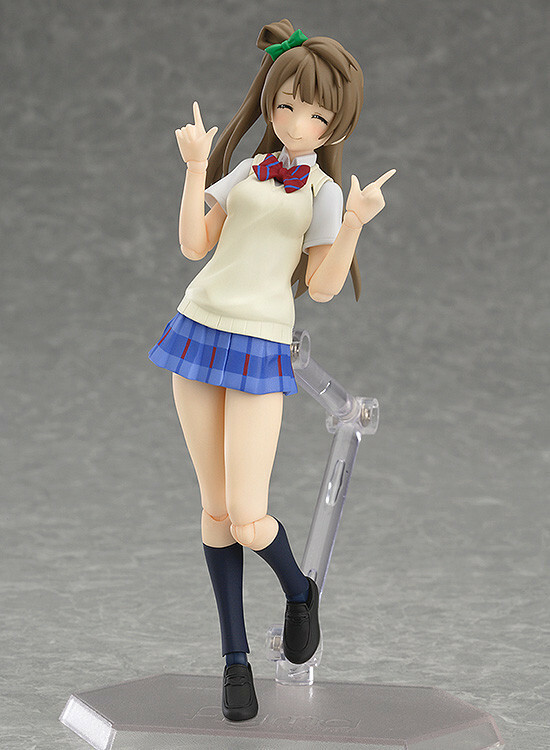 Just like the previously announced figma Honoka Kosaka, she comes with two glow sticks of her image color. 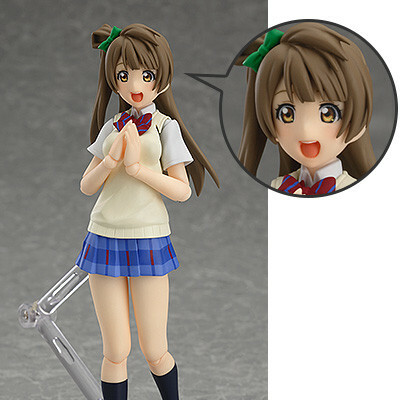 Preorders will be open from 16th June 2015 (Tue) 12:00JST until 15th July 2015 (Wed) at 21:00JST. 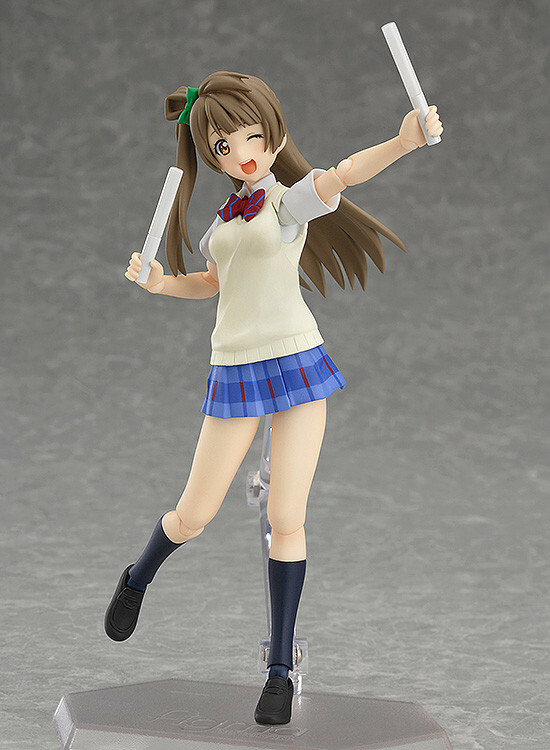 Preorders of figma Kotori Minami from the GOOD SMILE ONLINE SHOP will include Sparkling Expression as a bonus!